Decorating our house is always a pleasure, is not it? I met the DressLily store and I was enchanted by its decorations, the store has several options to leave our home with our face and always more cozy. One of the novelties that the store has are stair decorations, for those who have a ladder inside the house it was even easier to leave it beautiful and decorated. Look at the pictures I found in the store. Details like this, made of wood leave the decor of our house more warm, cozy. Combine with various types of different decorations and are very easy to apply, they are self adhesive stickers that you just need to highlight and glue on the mirror in your home. Do not they look beautiful? 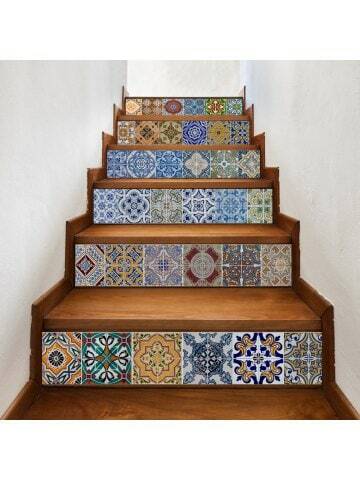 For a more cheerful and colorful decoration you can invest in decorations with more colors, such as Portuguese tiles, are beautiful, delicate and chic, give more life and color to the environment. 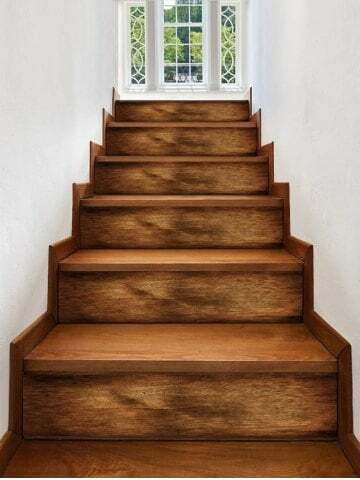 Tell them if they do not give a super charm to the ambience of our staircase. The ideal place to apply them is in the mirror of the step of your ladder, but you can also apply elsewhere if you wish, the stickers comes in strips with six bricks in each, you can apply where it is a dry place, such as a wall of your room or bedroom, use your creativity and if you want to use in your kitchen or bathroom can also, just be careful when choosing, always opt for hydraulic stickers. Like the tips? They are great for leaving your environment more and more with your face, click here and know more other objects of decoration of the store. You will love.